Get started with our buying categories below and be on the way to turning your collection into cash! How do I sell to Dave & Adam's? Please email us at buying@dacardworld.com or call our Customer Service at 1-888-440-9787! Do you travel to make purchases? We constantly have buyers traveling around North America to make purchases. In some cases we can travel to see big collections within 24 hours. 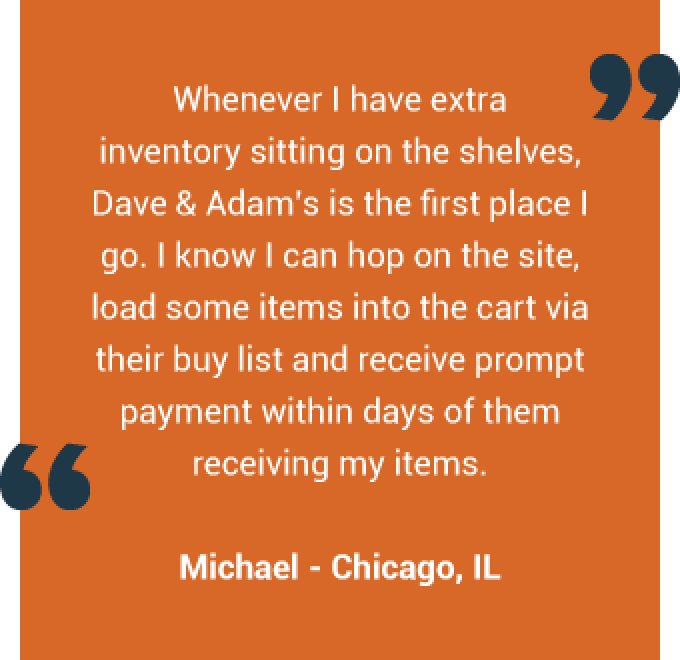 For many other purchases, sellers will ship their items directly to our offices/warehouse. How do I know I can trust Dave & Adam's? 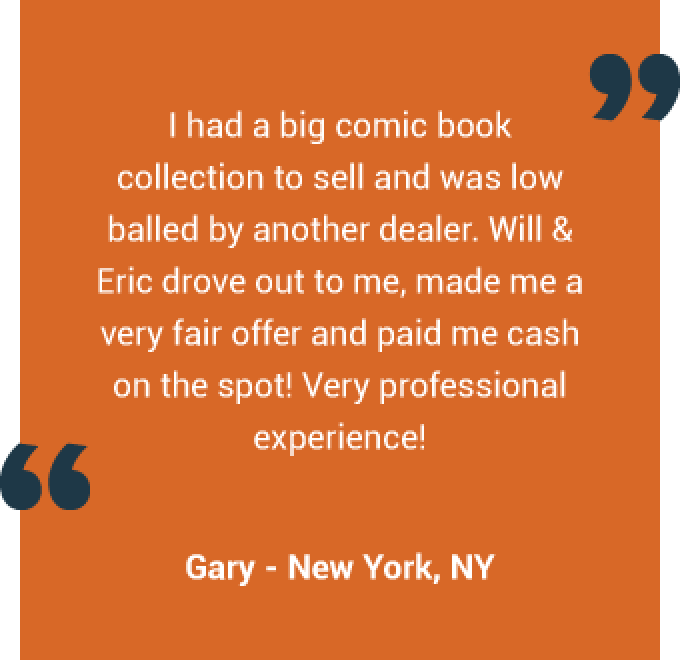 We've been one of the largest and most reputable buyers in the industry for over 20 years. We have an A+ rating with the Better Business Bureau and work hard to ensure that all sellers have a positive experience when dealing with us.